This pairing of a black overcoat and blue jeans is very easy to pull together without a second thought, helping you look amazing and ready for anything without spending too much time going through your wardrobe. 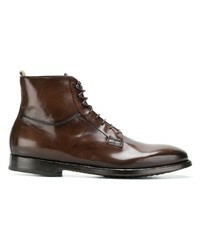 Consider Officine Creative herve boots as the glue that will bring your getup together. If you're on the hunt for a casual yet dapper outfit, make a white long sleeve henley shirt and brown chinos your outfit choice. Both garments are totally comfortable and will look great paired together. Amp up the cool of your getup by complementing it with dark brown leather casual boots. 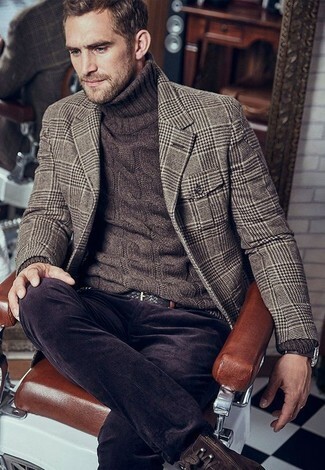 If you're hunting for a casual yet dapper getup, reach for a brown houndstooth wool blazer and dark brown corduroy jeans. Both pieces are totally comfortable and will look great paired together. Sporting a pair of Officine Creative herve boots is a simple way to add extra flair to your ensemble. For a nothing less than incredibly stylish ensemble, consider teaming a navy wool blazer with navy dress pants. 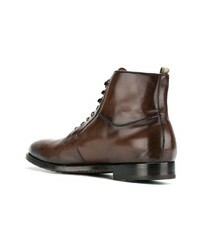 Dark brown leather casual boots are the right shoes here to get you noticed. Contrary to what you might believe, outfiting dapper doesn't take that much the workplace. 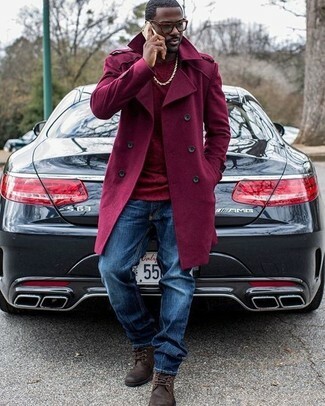 Just wear a burgundy trenchcoat with navy jeans and you'll look amazing. 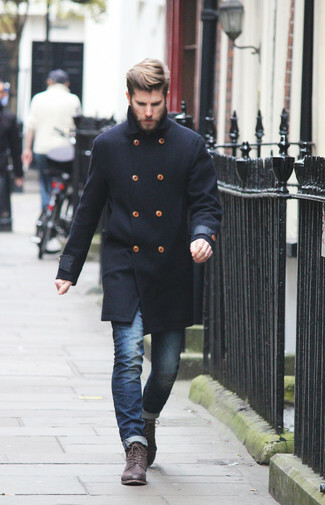 When it comes to footwear, this getup is finished off nicely with Officine Creative herve boots. 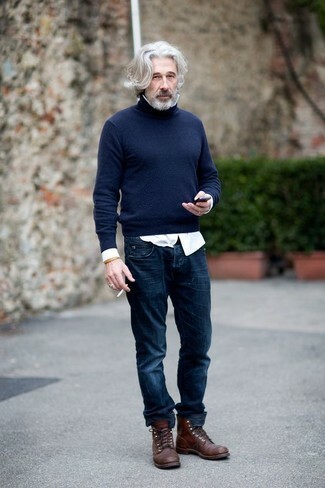 If you're on the hunt for a casual yet seriously stylish outfit, marry a navy turtleneck with navy jeans. Both garments are totally comfortable and will look great paired together. Bump up the cool of your ensemble by rounding it off with Officine Creative herve boots. If you're all about relaxed dressing when it comes to your personal style, you'll love this on-trend pairing of a black and white print crew-neck t-shirt and black leather shorts. 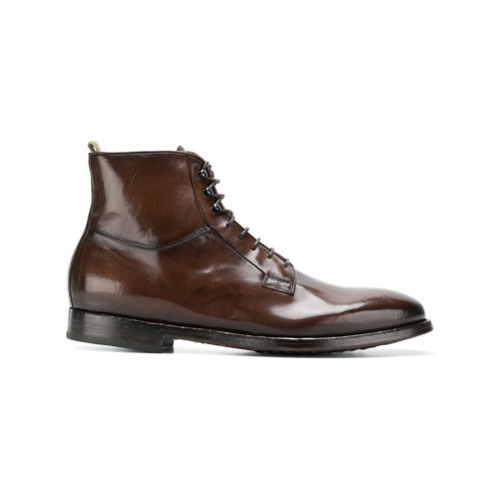 To add more class to your outfit, round off with Officine Creative herve boots. 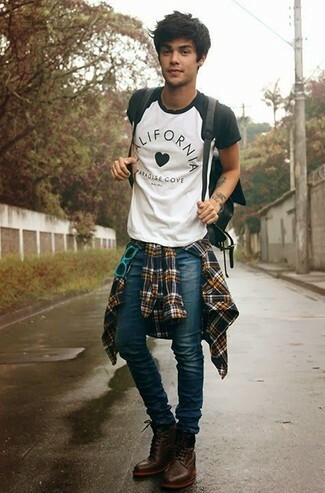 Wear a yellow plaid flannel long sleeve shirt with blue skinny jeans if you're on a mission for an outfit idea for when you want to look casually cool. 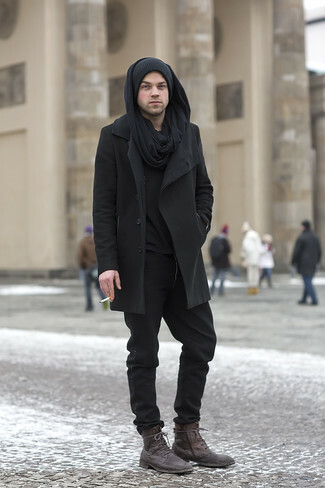 A pair of Officine Creative herve boots adds some real flair to this outfit. This combo of a black overcoat and black chinos is so easy to throw together in seconds time, helping you look awesome and ready for anything without spending a ton of time digging through your closet. 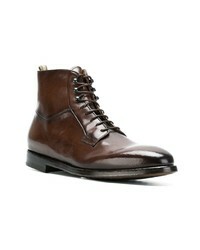 When it comes to footwear, this getup is complemented nicely with Officine Creative herve boots.